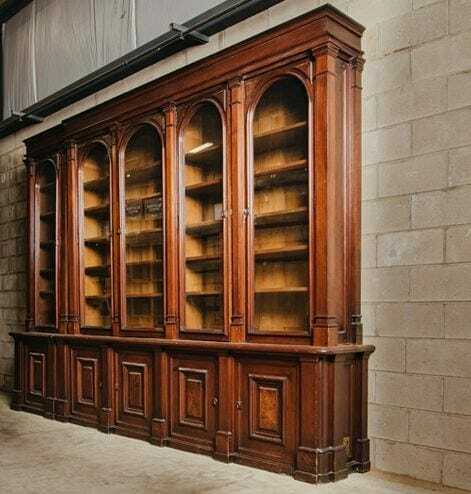 Balusters accent this large wooden library cabinet. Each glass door opens with the turn of a key. Five cabinets below offer extra room for storage.